Lonnie joined the National Institute for Computational Sciences (NICS) as a Computational Scientist in 2008. His experience is in computational chemistry and prior to joining NICS had been a postdoctoral researcher at Iowa State University where he contributed to the NWChem computational chemistry package. Lonnie’s areas of expertise include electronic structure theory, statistical mechanics, chemical kinetics, parallel computing, and parallel I/O. During his time at NICS he has been involved with the planning and execution of application acceptance tests on some the center’s resources. 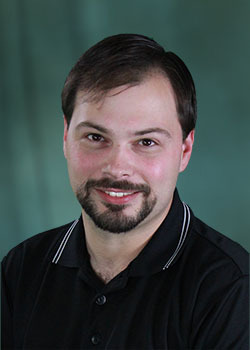 Lonnie currently leads the NICS Scientific Computing Group, which is dedicated to providing the support and expertise necessary to effectively utilize the center’s computational resources. The team provides application support to the center and user community while actively contributing to various scientific disciplines.